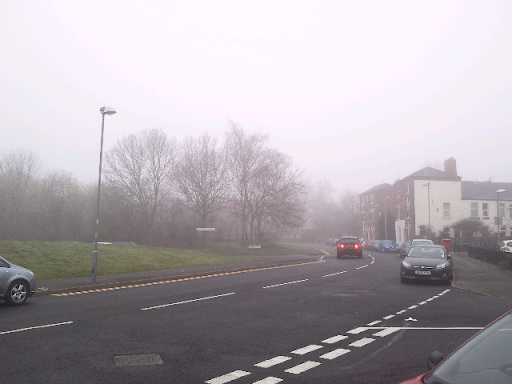 Had to get milk this morning and the weather at 8 am was very foggy. See photo. Also note how that newly paved road, which was done at night over three nights, is far superior to anything on the Rock... including the airport runways.